2004 was a successful year for our company. Verifysoft has placed (especially in the second half of the year) an important number of software licenses to new and existing customers, which will improve their software quality and simplify their testing methods with tools from Verifysoft Technology. Our testing and analysis tools are already successful used by a large number of companies from transportation, health care, biotechnology, telecommunication, smart card, avionics, space and other sectors. Because of the quality and maturity of the testing technologies distributed by Verifysoft, we expect a further and significative increase of our business activities in the next year. Thanks to our customers and partners for the good cooperation. We wish you a happy and successful new year 2005 ! An upgrade to CTC++ Test Coverage Analyzer for Symbian Target Devices add-on is now available. Usage is made simpler and more resistent to human errors. The user is freed from the responsibility to start the background process, which will ensure that the coverage data won´t be erased by Symbian OS. Testwell CTC++ Test Coverage Analyzer has been extended to work with CodeWarrior Compiler on Windows platform for Symbian projects. Both the command-line mode and the IDE mode to build the projects with CTC++ are supported. This upgrade is free of cost to current CTC++/Windows customers with maintenance contract. ExCing Extreme Consulting and Verfiysoft Technology will cooperate in the German market. ExCing is an independant consulting company for verification, validation and certification of software applications. ExCing Extreme Consulting will propose appropriate complexity mesures tools of different vendors, among them Testwell CMT++. ZF group and Verifysoft Technology signed an agreement about special conditions for purchasing software testing and analysis tools. Headquartered in Friedrichshafen (Germany) ZF group is one of the leading suppliers of the automotive industry. ZF employs more than 50,000 people in 25 countries. Company turnover in 2003 was more than 8,900 million Euros. 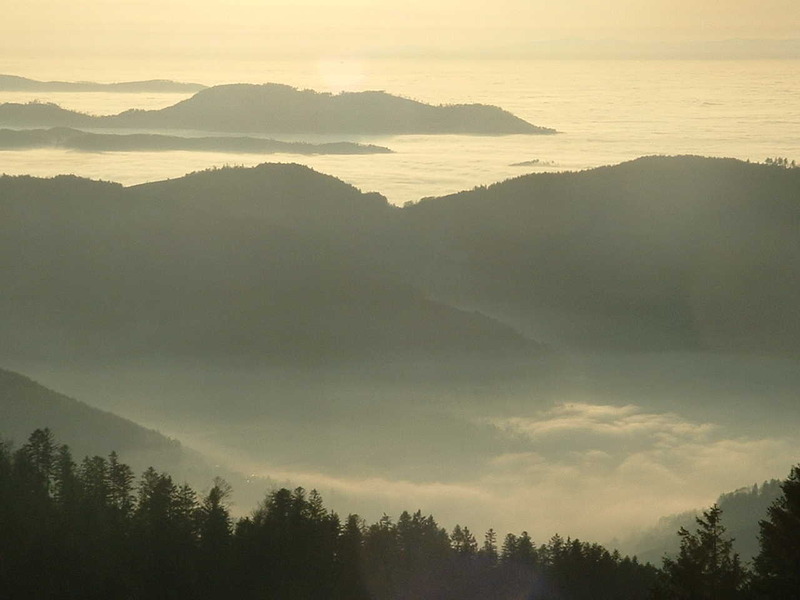 Testing tools of Testwell have already been successful in use at ZF Friedrichshafen AG and ZF Lenksysteme GmbH (a joint venture of ZF and Bosch) to ensure software quality and reliability. The agreement will grant special conditions to all ZF companies (more than 100 sites worldwide) for purchasing technologies distributed by Verifysoft. Conformiq Test Generator will be presented at ICSTEST®-UK Conference on Software Testing in London (October 6 - 7, 2004). Conformiq CEO Antti Laine will speak about "Large Scale Use of Model-based Testing in Testing of a Credit Card Authorization Switching System". As a sponsor Conformiq is able to offer to You a reduced delegate place at 10% less than the standard rate. For CTC++/Windows users a small add-on kit is now available, which facilitates a smooth use of CTC++ in the Visual Studio .NET 2002 and .NET 2003 IDE context. This add-on package is a tool upgrade and included in the maintenance. Customers with valid maintenance contract will receive the update in the next days. Customers with maintenance contract will receive the new version in the next days. Beck IPC and Verifysoft Technology announces today the integration of Testwell CTC++ Code Coverage Analyzer in Borland 5.02 IDE. Testwell CTC++ allows now "high-quality" coverage analysis on all IPC@CHIP based products. Testwell CTC++ ensures that all components of complex software systems have been tested before the software is shipped or used in the industry. Beck IPC, a company of the Festo group, is specialist for services, hardware, software and information for all aspects of PC-based technology and automation. Now CTA++ v3.0.3 supports also Visual Studio .NET 2003 (VC++ 7.1). There has come some enhancements also on cta2html and ctastub utilities, so all platforms (Windows, Linux, Solaris and HPUX) have been upgraded. Verifysoft customers with valid maintenance contract will receive the update for free. Conformiq Software Ltd., a leading Finnish software testing and test consulting company, and Verifysoft Technology announce today the signature of an agreement concerning sales and support of Conformiq Test Generator in German speaking countries. Conformiq Test Generator is a dynamic test automation tool that replaces the manual process of writing test scripts with automatically generated test cases. Conformiq Test Generator´s test models are presented as UML state diagrams. Instead of the time-consuming and error prone script programming or manual testing, the test engineer creates test models with a user-friendly graphical editor. The relevance and coverage of the test cases created by the test generator is guaranteed by intelligent algorithms, that generate vast numbers of relevant test cases systematically. Common areas of application include: Functional, system, and acceptance testing, Regression testing, Integration testing, Interface as well as Protocol/Platform testing. Conformiq´s technology has been developed over a decade in research projects of finish Universities and in projects of leading Finish companies like Nokia and KONE. Since 1998 the technology has been further developed at Conformiq Software Ltd. into a user-friendly commercial product. Testwell announces the release of version 3.0.2 of the unit testing tool CTA++ for the platforms Windows (VC++ 6.0/Visual Studio6.0), Linux (egcs 1.1.2/2.91.66, gcc 2.96, gcc 3.2, Solaris (Sun C++v5.3, gcc3.3.1), HPUX (HP aC++ ver A.03.13). On Windows platform the CTA++ run-time library is moved to a .DLL. It considerably simplifies the tool use when linking the test bed, both when done via Visual Studio IDE and when done in command line mode. Customers with maintenance can download the new version without additional cost. Verifysoft announces the release of the "Borland C++ 5.0.2 IDE"add-on which seamlessly integrates Testwell CTC++ (Test CoverageAnalyzer for C/C++) into the Borland C++ IDE. This allows Borland C++ developers to measure code coverage with CTC++ within that integrated environment. Testwell CTC++ is a powerful code coverage and dynamic analysis tool for C and C++. Whereas CTC++ already supports all actual Borland C++ versions using the makefile mechanism, the "Borland C++ 5.02 IDE" add-on facilitates every Borland C++ developer to measure code coverage in an intuitive and easy to use way directly from the Borland C++ IDE. Compiling 16-bit code is supported but requires a separately available CTC++ Host-Target add-on. Fully functional evaluation copies are available. We wish to thank the Tools55 project for its work which provided the basis of our integration of CTC++ into the Borland C++ IDE. Testwell announced the release of a new version of CMTJava(version 1.4). The upgrade comes with a HTML reporting option(cmtjava2html add-on utility). Testwell CMTJava is available for Windows, Linux, Solaris and HPUX. On Windows platform its use is directly integrated to the CMTJava GUI. For customers with support period in effect the upgrade is available without charge. Testwell announced the release of upgrades for CMT++ (version 3.5) and CTC++ (version 5.2.1). The essential enhancement in CMT++ is the introduction of HTML reporting. On Windows platform this capability is integrated to the CMT++ GUI. For seeing how the HTML report looks like, please click here. 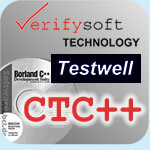 Testwell CTC++ 5.2.1 is available on all supported platforms (Windows, Linux, Solaris and HPUX). It contains some smaller enhancements. Both tools can be downloaded by customers with support period in effect.